Translation: The more you look, the less you will see. Explanation: It is impossible to know every single detail about any matter. Also, the more you find out, the less you know. I recently visited Westmoreland Parish, Jamaica (#5), and a small bit of St. Elizabeth Parish (#2). Like most I flew into Montego Bay which is in St. James Parish (#3). Typical tourists go to the spa resorts by assigned transport. They see the small shanties for residence, large mansion styles in the hills, and food stands. There are the myriad of students and workers waiting on the road for “Route Taxi’s” to transport to school or work. And of course, no one can miss the churches. They literally overshadow every community, roadside driveways, and poorly kept main roads. Most have a bit of the Spanish, French and British slave history of the island. We’ve even learned through songs the rebellions that lead to emancipation. But as genealogists we need to dig a bit deeper to learn about our ancestors. We must understand the history to understand the records. Slave emancipation by the British was in 1838, leading to some records that may reveal your ancestor as a having a subsistence farm vs. working on plantations. Or being a free maroon - the maroons were Africans who escaped slavery (mostly run-aways) and set up communities of freemen in the mountains mostly in the eastern parishes. Your maroon family line may also reveal a connection to the indigenous Taino people as they joined to formed protected communities. Your Jamaican ethnic origin may include that of ancestors of Chinese and Indian descent as by 1840 British used both as indentured servants on plantations. Your Jamaican bloodline may include J1 or J2 Jewish Haplogroups on DNA results due to the European-expelled Jews who fled to Jamaica as early as 1510 but records may say “Portugals” as to not stir the wrath or mistreatment by the antisemetic. Good news is this information not only proffers your Jewish ancestry, but also perhaps their earlier homeland. But, remember this is just a hint. A totally different conversation is understanding the confusion of Sephardic vs Ashkenazic Jewish haplogroups. The facts and history of Jamaica settlement and slavery have been researched and recorded since the beginning of settlement, but the location of originals are not centralized. A good place to start is in A History of Jamaica; From it’s discovery by Christopher Columbus to the Present Time, Wm. James Gardner, 1873. Jamaican Family Search, Genealogy Research Library. A virtual genealogy library. Carlye’s Letters of Oliver Cromwell of 1655 have been preserved. Acts of Assembly from the year 1681-1769, and 1786, 2vols, published in St. Jago de la Vega. Journals of Assembly of Jamaica, Alexander Aikman, 12 vols, 1797-1816. 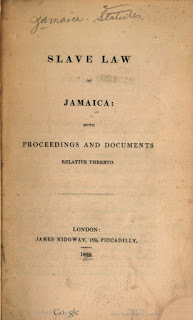 The History of Jamaica,( Vol 1 -3) by Edward Long proffers a bibliography list of interest as well as analysis and facts. 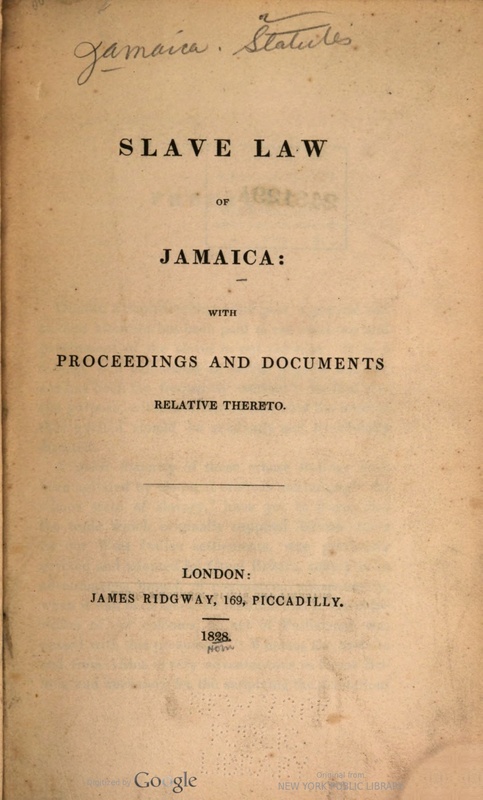 Slave Law of Jamaica, and other Hathitrust.org collections are quite useful in tracing your Jamaican ancestors. The a3Genealogy research team recently traced a Philadelphia free-colored descendant to his Jamaican slave ancestor emancipated in 1795 using the An Account of the Emancipation of the Slaves of Unity Valley Pen, in Jamaica, Barclay, 2nd edition, 1801 and of course other resources to include in-country sources.